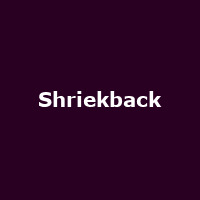 Shriekback are an English rock band formed in 1981 in London by former XTC/ League of Gentlemen musician, Barry Andrews. Debut album "Care" saw the light of day in 1983, followed by: "Jam Science" (1984), "Oil & Gold" (1985), "Big Night Music" (1986), "Go Bang!" (1988), "Sacred City" (1992), "Naked Apes and Pond Life" (2000), "Having a Moment" (2003), "Cormorant" (2005), "Glory Bumps" (2007), "Life in the Loading Bay" (2010), "Without Real String or Fish" and "The Island of the hopeful Monsters" (both 2015).